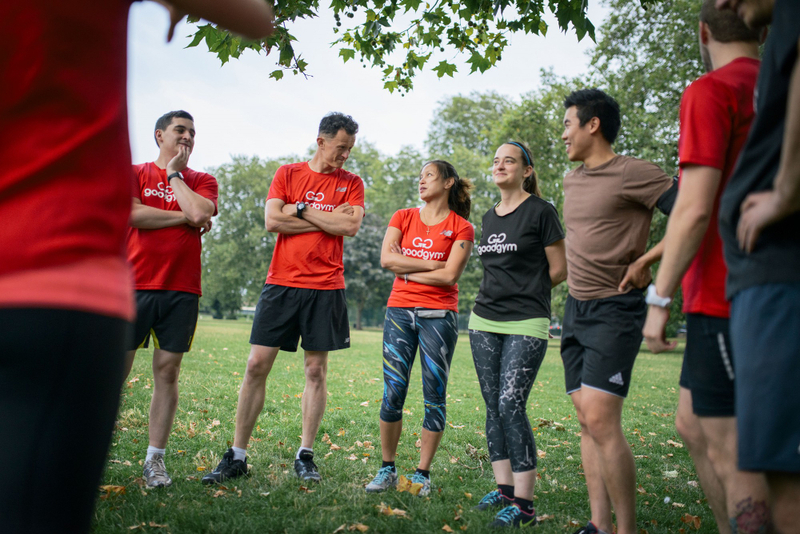 GoodGym is an exciting community of runners that gets fit by doing good. It's operating in 28 areas across the UK and is growing fast. 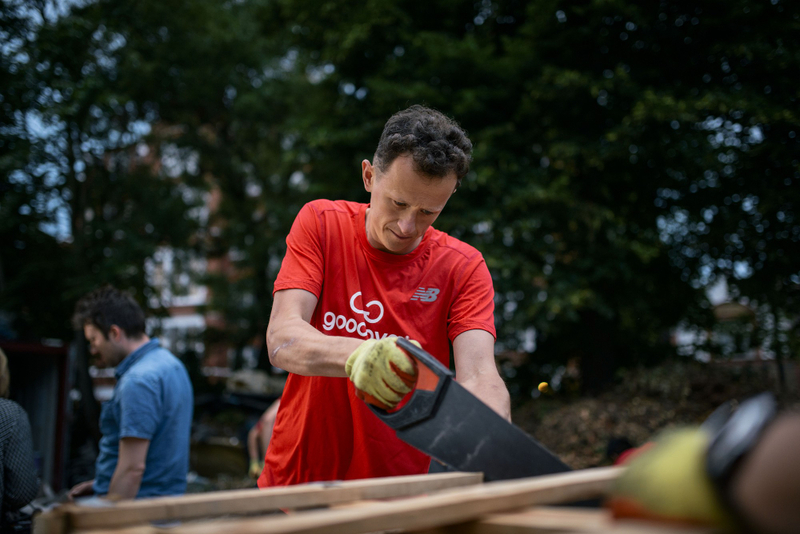 We spoke to GoodGym's founder, Ivo Gormley, about how people can help tackle the problem of isolation among older people, the problem with traditional gyms, documentaries, and the idea of building a mountain refuge hut by having runners – including Mo Farah – carry up a brick at a time. rb: How would you describe GoodGym? ig: We're basically a community of runners who get fit by doing good. I think that word “community” is really important there. We really are a group of people who get together and try to achieve something positive. rb: So how exactly does it work? ig: There are three main ways: group runs, coach runs and missions. The one that most people come into contact with is our group runs. That's where a group of people run together to go and help with community projects. So we shift earth in community gardens, or plant trees, or clear parks of leaves, or clear derelict land, or paint community centres. Anything that's manual labour and is for the good of the community. We run there, do the job and run back. 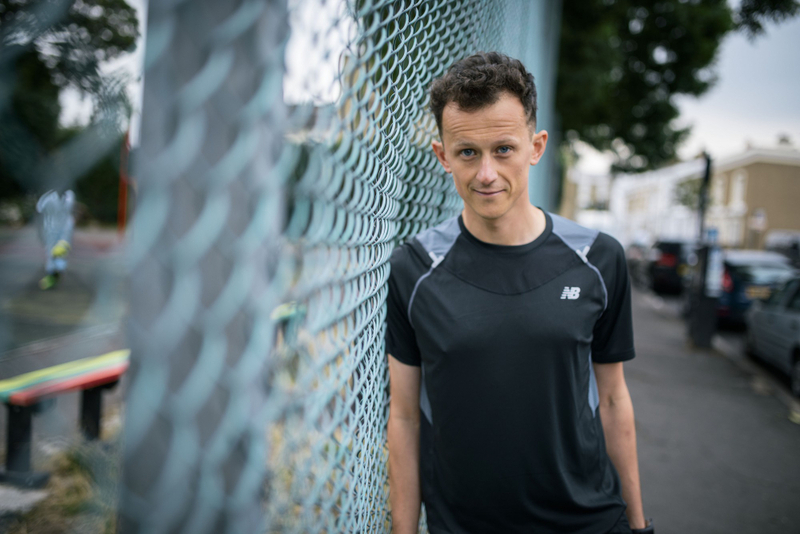 As well as getting fit and helping out it's a really good way of getting to meet other people in your area and trying out and learning new run routes. On top of that the runs are led by good quality running coaches and personal trainers, so you can also get some top advice from people who know what they're talking about. rb: How long does this all take? ig: The whole session is just 90 minutes. 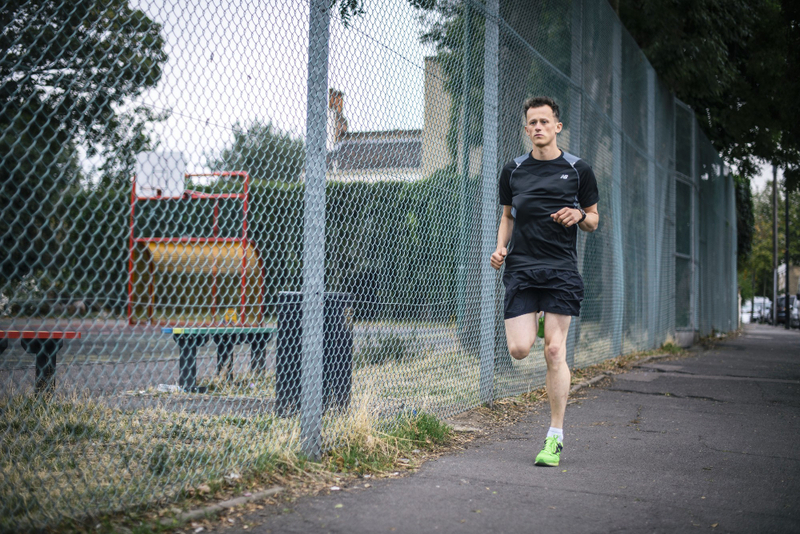 We wanted to make it the equivalent of a gym session or the duration of a run that you might go and do on your own. So, you'll meet at a local cafe or sports or community centre, drop your bags off, have a briefing, then run somewhere within your borough or city to help out. rb: Where does it happen? Is it a nation-wide thing? ig: We've got group runs in 30 different boroughs and cities now, and our plan is to get it going in all areas that have 100,000 people or more. There are about 70 of those in the UK. Basically, if there's a demand and an interest we'll do what we can to get set up in an area. rb: They sound great. What would be an ideal group run in your opinion? ig: My personal favourites have been ones where it's been quite hard work, and there might be a small group of people who've done a longer run. You've got a group of people you've only just met and you're flying along by a canal, not quite sure where you are. It feels like a real adventure. Sometimes you turn up somewhere and they take you through this special door and suddenly there's this giant area of land you never even knew about. You get that secret access which is really exciting. Mix that with some endorphins and that satisfying exhausted feeling that you've done something worthwhile. There's nothing like it. rb: Like a runner's high with a bit extra! What about the other things you do? What's a "coach run"? We call the older people in this runner/olderperson relationship coaches, because they share their wisdom with the runners and encourage them to keep it up. You've probably seen reports in the media about how loneliness is a big problem and there are a million isolated older people out there. Stop and think that whenever you're out for a run you're probably passing by somebody who won't be seeing anybody that day. They may not be going to see any friends or family for a month or more. Imagine what a massive different it'd make if you could stop and pop in even for 15 minutes and have a bit of a chat with one of these people. So we encourage and support people to get connected with others in their area who are isolated. What we find is it's really encouraging for the runners. As well as developing a friendship they have the motivation to go out for a run on a rainy evening or weekend morning. rb: Do you do coach runs yourself? ig: Yes, and I incorporate it into my training. Usually I'll do a shorter run there then do some technical drills that I wouldn't normally do. Then I'll normally stay for about 20 minutes or half an hour and have a chat with Jean, who's just a brilliant person, but doesn't have many family or friends around. There are people around her in the care home, but nobody is really coming to see her specifically. It's amazing to see how somebody you visit can go from looking a little vacant to being really engaged and then you know you're making a difference. rb: What sort of things do you talk about? ig: Anything. She's always asking me really interesting questions. She's 83 but very sharp and we get into some really deep conversations. I actually find it quite invigorating. And it's so interesting because she's quite disconnected from the rest of my life. We don't have any mutual friends so I feel like I can open up and talk about anything. rb: Is 20 minutes pretty standard for these visits? ig: Some people do a bit longer but generally we advise people to keep it fairly short. Mainly because we want the relationship to go on for a long time. If you think, 30 minutes once a week for a year is over 24 hours of interaction. That's quite a lot of time. When I think about it I see Jean more than… most friends actually (laughs). You can actually have a meaningful friendship. rb: So you would consider it a friendship rather than a duty or obligation? We present the idea to the older people by saying something like, “Would you like to help keep a young person fit?” That's part of the deal: that they should encourage the younger person to keep running. rb: So that's where the term “coach” came from then? This idea that they're motivating you? ig: Actually the whole thing started because I wasn't doing any exercise and I decided I'd start running to deliver this newspaper to this older man called Terry, who was a friend of a friend of a friend. He used to be in the parachute regiment, and he'd say that running was OK but I'd also have to do press ups and sit ups when I got home. He was really encouraging in general. That's where the whole thing came from. It wasn't just about me helping him, it was about him helping me as well. It's important to remember that these relationships aren't one way. There is so much you can learn from people from a different generation. It can be a really positive thing in both directions. rb: How do you go about contacting the coaches and getting them involved? ig: We have partners in each of the areas that we work in. We work with British Red Cross in quite a few areas and we also work with Age UK. They refer people who they think could do with a regular visit and we try and find them a runner. As soon as one becomes available and has done their GoodGym training and passed their DBS check we match them up. rb: Is it a bit of a matchmaking service then? Do you try and pair people with similar interests? ig: Actually, geography is the biggest determinant. Obviously if you had to run 26 miles every week to see somebody it might be a bit much. It's really important that it's a comfortable distance. 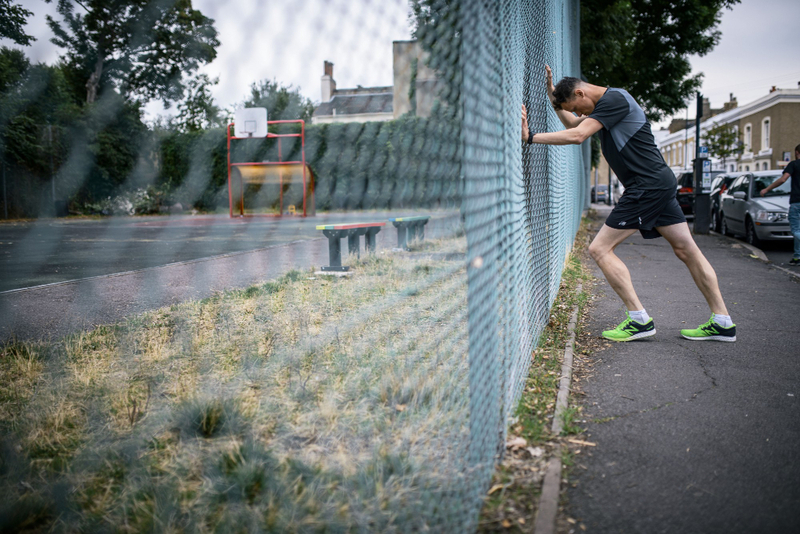 We try to make most coach runs on the shorter end of what people are comfortable running so that if they're not running as well at any point for whatever reason they're still able to do it. It's also really nice if you're in a similar area to somebody because then you'll automatically have something in common and it can be really interesting to find out what your area was like 50 or so years ago. After geography we take into consideration things like people not liking dogs, or if the person's a smoker. Then we start looking at interests. And we occasionally get a request for somebody that speaks a certain language. rb: You mentioned a million isolated older people in the country. That's concerning. ig: Yes, and that's just older people. What's interesting is that there seems to be increasing loneliness in younger people as well. That's something I like about GoodGym. I think we're all actually looking for the same thing. As human beings we want a sense of connection, an idea that we belong to something bigger than ourselves. I think the runners get involved with GoodGym for the same reason as the older people. It's nice to feel that you're part of a community where you're noticed and you're important and what you're doing is worthwhile. rb: With that many lonely people out there, is there a big waiting list? ig: I think at the moment we have about 700 paired and there are another 160 that we would like to pair. Although there are are a lot of isolated people it's not that easy to find the people that need help. They don't necessarily self-identify as needing help. There's not something like a public database of people and it's also a bit of a sensitive issue. rb: Do you have an idea of how many of those million you'll eventually be able to reach? ig: Our big goal right now is to try and reach 60,000 of these people by 2020. So, of those million it's not a massive percentage, but it is a good chunk. And obviously GoodGym isn't for everybody. The idea is to try and reach 10% of those that need it in the areas in which we're operating. So if we're only in cities we will be cutting out about half of the older population. It'd be nice to reach less-dense areas, but you run into problems with larger distances between people. For example, we can't expect runners to go 20 miles to the next small village to visit somebody. rb: So, we've covered group runs and coach runs. What about these missions? ig: Missions are sort of a hybrid of group runs and coach runs. They're one-off tasks for an older person or a community organisation. You run to a mission on your own and meet up with two or three other people, and you fix somebody's problem. Ideally they're quite good fun. We try not to take on anything requiring too much skill. We do things like change smoke alarm batteries and shift furniture. I did one on Tuesday for a woman in her seventies who couldn't get into her front garden because it was so overgrown, and she wasn't able to do it on her own. A few of us went over and spent some time cutting it back and now she can get out there and enjoy it. She might even have a barbecue in the summer. rb: Be honest, do you ever go to a traditional Gym? ig: Actually, I embarrassingly got told by a physio I had to do some gym sessions, so I snuck into a gym covering my face and hoping not to be spotted. rb: You weren't wearing a GoodGym t-shirt then? I haven't got anything against gyms for the right reasons. They can be useful. But I think if you're just looking to generally improve your fitness or lose weight or make yourself healthier then it's not the best way. 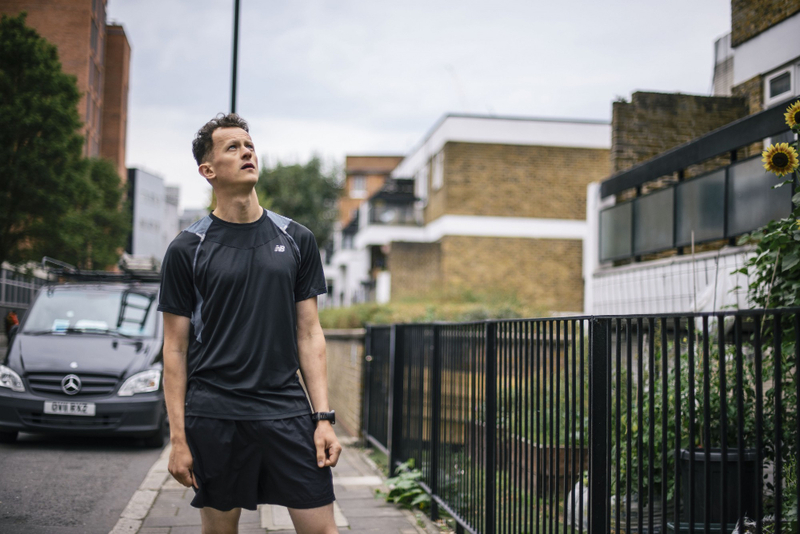 The social aspect of exercise is so important and if you're just on a treadmill on your own with headphones on then you're missing out on what life is about, which is exploring things and meeting people, being part of something and communicating and connecting. That's why I hope more and more people will choose GoodGym over other gyms. 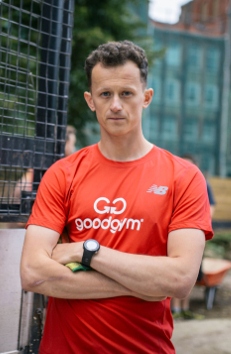 rb: How long has GoodGym actually been running? ig: Terrifyingly, since 2009. That's when I registered as a non-profit company. But I was working full time doing other things until 2013. So, it was a side project until then when amazingly I was able to start doing it full time. And it still feels like a massive privilege and luxury to be able to do this as a job. It's not like going to work. Of course, I take it seriously, but I often think, “Wow! This is happening and I'm actually able to spend all my time on it.” I do feel very lucky. rb: Did you work in a similar area before? ig: I used to make documentaries actually. I studied anthropology and for my degree I made a documentary about the comedy scene in Chicago. I really enjoyed studying the different culture. Then when I finished uni I started working making films for the NHS. The first project was working with cancer patients to explore their experiences of treatment in the NHS and working with those patients and staff to try and make improvements to the service based on the feedback. I'm also really interested in participation in general and structures of governments and how you create organisations and how the Internet could be changing that. So, I made a film in 2008 – which is probably the one I'm most proud of – about democracy and the Internet and how power structures could become more porous and how more people could be involved in decision making, which would create more trust and better decisions. The film is called “Us Now” and you can watch it on YouTube here. rb: I also remember a film called The Runners that came out a few years ago. ig: Yes, I made it with a good friend called Matan. We got this little bike trailer and started asking total strangers, while they were running, if they were up for having a chat. The idea was they wouldn't have to stop, so you wouldn't have to interrupt them. And people were just absolutely amazing. So clear with their answers and so articulate about their lives. We were asking people big questions as well, about their biggest regrets, what they'd want to be remembered for, if they were in love. Questions that are difficult to ask in day-to-day life, but there was something about people feeling confident when they're running. And I think because they had to be quite economical with their words they were also extremely clear. Everybody we spoke to was so honest. They weren't specially selected or anything, they were just random runners. It was one of those experiences that makes you proud to be a human. rb: And it became pretty popular. ig: The amazing thing about it is that we didn't do anything particularly clever in terms of the way it was distributed or promoted. We just put it out on the Internet and it went crazy. People started sharing it with their friends and everybody was talking about it. Jess, my girlfriend, heard a stranger talking about it on the tube, which was really weird. What I really like about it is it's a really simple idea and it was really nice that people respond to something that's a positive story. It's not shocking or anything, it's just people telling the truth about their lives. You can watch The Runners on YouTube here. rb: Any plans for any more documentaries? ig: No, I need to just put everything into GoodGym. If we're going to reach 60,000 older people it needs my full attention. rb: Are you on track? Have things worked out as you expected so far? ig: If I wanted to get depressed I would compare us to Uber, who launched the same year and are now absolutely massive. But on the other hand the idea of paying somebody to drive you somewhere has always existed. It's just a better way of doing something that's always been done. But nobody has quite done GoodGym. Nobody else is trying to combine fitness and helping other people. So we've got a big job to do, to get people to understand what we're doing, to keep it afloat financially and so on. I take inspiration from an organisation like parkrun, which is the most extraordinary and brilliant organisation ever. I love what they're doing with participation at parkrun and junior parkrun and emphasising that you can run it, walk it, jog it; you don't have to be the fastest runner to take part. I think it's going to have an extraordinary transformative effect on participation numbers and in creating a regular culture of running. rb: And there's a partnership between GoodGym and parkrun? ig: Yes, we've got a partnership with them now. They're going to be part of our plans to reach 60,000 older people. We want to try and get some of those parkrunners involved. They're doing amazing stuff on Saturday mornings and maybe they could also be doing something amazing on a weekday evening as well. We've been talking about joint communications to reach out to more people, and the possibility of web site integration in the future, which sounds really exciting. It all makes me feel like we're not quite big enough yet! rb: How big is GoodGym exactly? ig: There are about 30,000 registered and roughly 2,800 members. And most of the members are usually doing something once a week. rb: What is a member? ig: A member is somebody that has made the decision to officially join. They've got the GoodGym t-shirt and they're making a positive contribution to GoodGym. I mean, we don't chuck people out if they're not running for a while or injured, but our members are usually doing something on a regular basis. And about 60% of them are making a monthly donation to help keep us going. 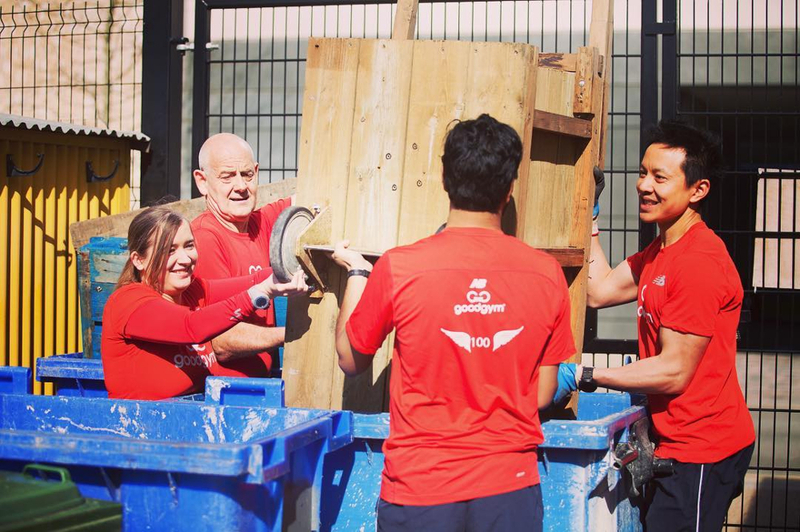 rb: Is there a certain type of person that tends to get involved with GoodGym? ig: It's hard to say. There are always exceptions to the rules, but there are two broad groups of people who get involved. The first is the younger crowd. They've finished university or school and moved to a new place and want to get involved. Generally people that have a bit more time, and usually haven't had kids. The second group is those whose kids are older or have left home and are finding out about the world again. They suddenly have a bit more time on their hands. rb: Can anybody join in? ig: You do need to be 18 or over because at some of the tasks there are minor safety risks such as using certain tools and we want to be sure that people are able to make judgements. But we've got people from 18 up to their seventies getting involved. Apart from the age restriction anybody is welcome. We don't want anybody to not join because they don't feel fit enough, so we also help people get to that stage with special “Starter Sessions”. They're special sessions designed for first timers, but actually you can turn up to any session and you'll never be left behind. There'll always be a friendly back marker to run with you. rb: So how do people get involved? ig: Go to the web site and we've got all the information you need on there. You can just enter your postcode and find out if we're operating in your area. But if we're not then let us know where you're interested in. That helps us find out where people want it and also to get funding. We cover most of London and we've got GoodGyms in Bristol, Bournemouth, Chelmsford, York, Sheffield, Birmingham and other sites dotted around the country. We're also due to start in Cardiff, Norwich, Brighton and Stockport and other places soon as well. Chances are we're somewhere nearby or due to start somewhere nearby. I'm sort of terrified and exhausted, but also really excited at the same time. rb: We don't blame you! Just one more question and you can get on to it. If you could race against, and beat, any athlete from any era in any race. Who, when, where, what would it be? ig: I think it would have to involve making something. I've had this idea for a race where we build a mountain refuge hut during the race. It'd be 5000 people on tough, hilly trails. And everybody at the beginning would carry one or two bricks in their hands. So you'd pick up a brick and then race to the top of the mountain where you'd put your brick in place, and then race down the other side of the mountain. The idea is that the only way to get the materials up the hill is for people to run them up, and by the end of the race the thing'd be built. rb: Would you win the race? ig: I don't think I'd be bothered about winning. Maybe a team event with me, Mo Farah and everybody involved with GoodGym. rb: Sounds perfect. Your wish is granted. rb: Ivo, thanks so much for taking the time to talk with us and we wish you and all GoodGym runners success in continuing to help those people who need it.